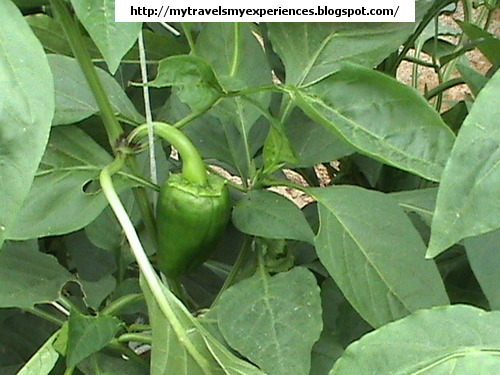 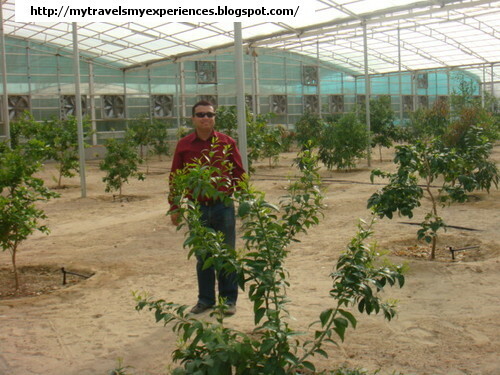 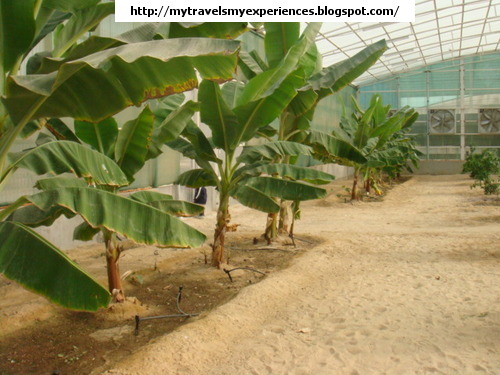 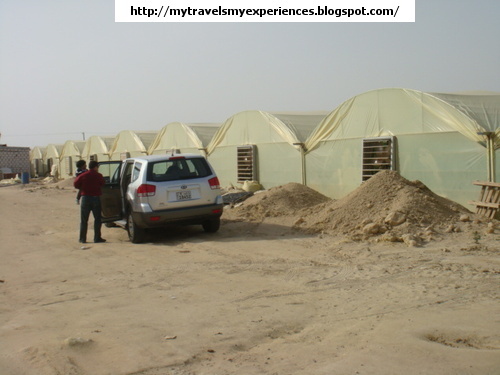 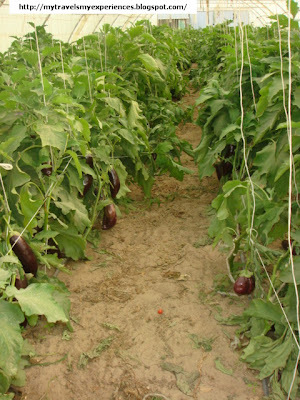 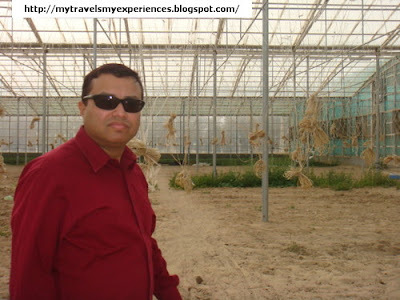 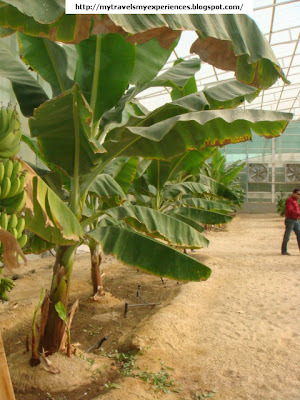 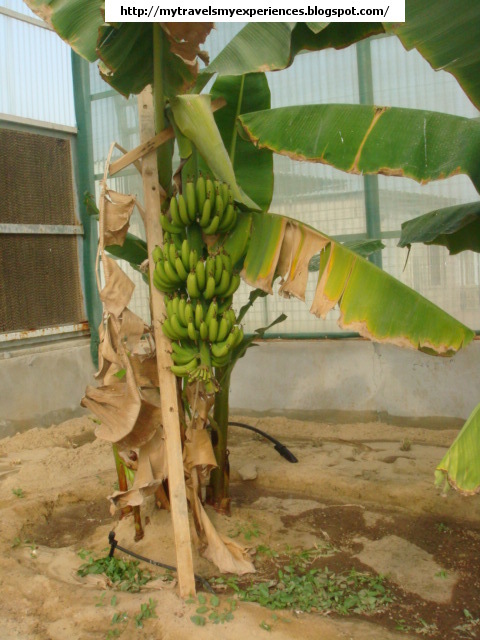 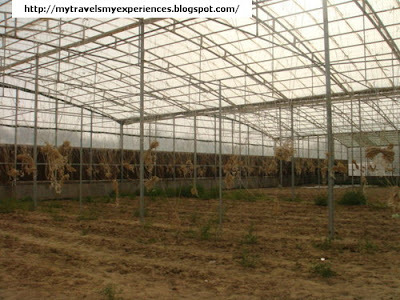 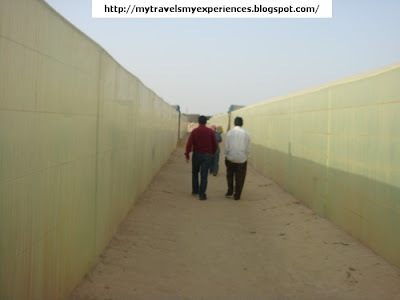 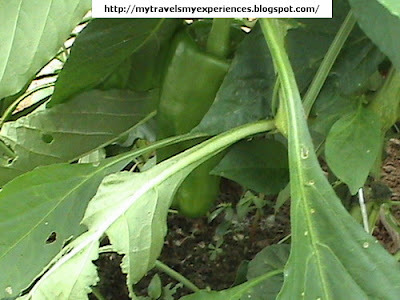 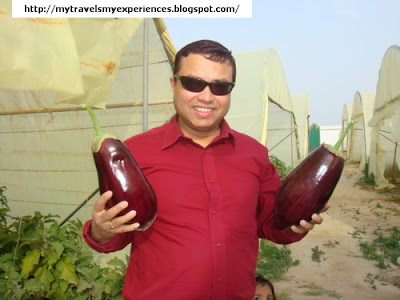 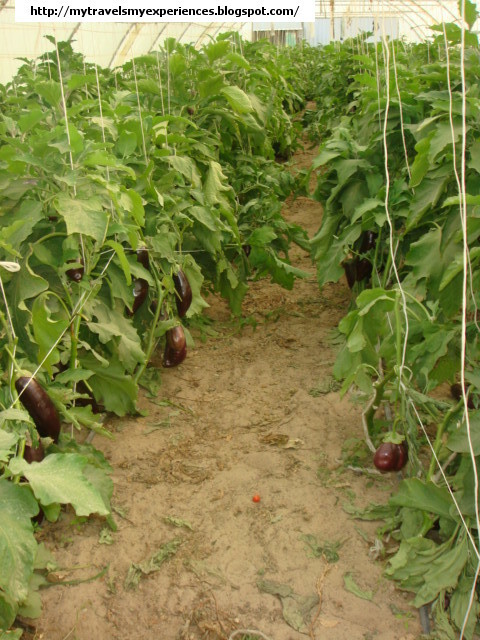 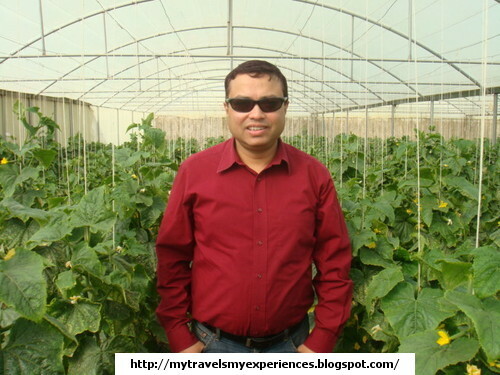 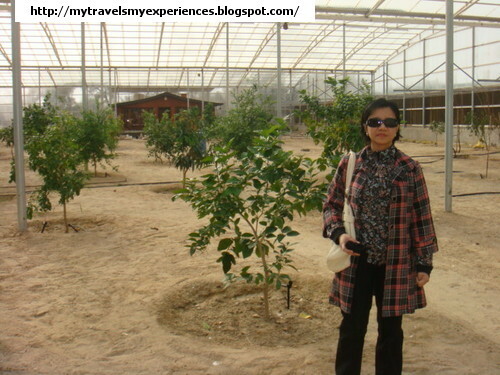 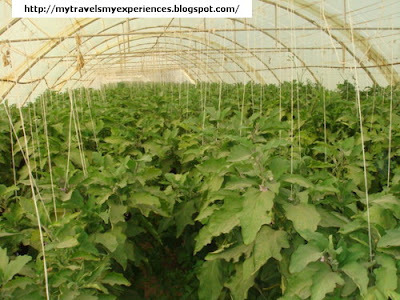 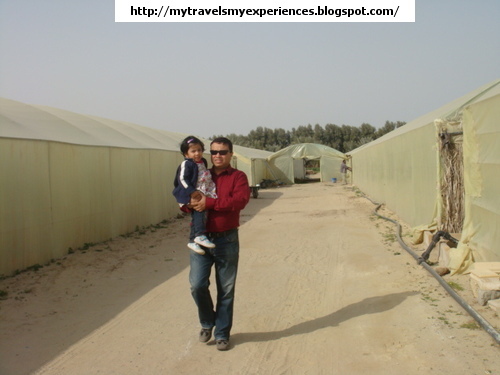 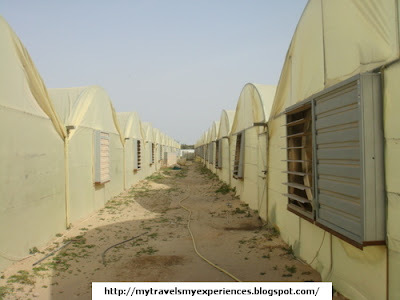 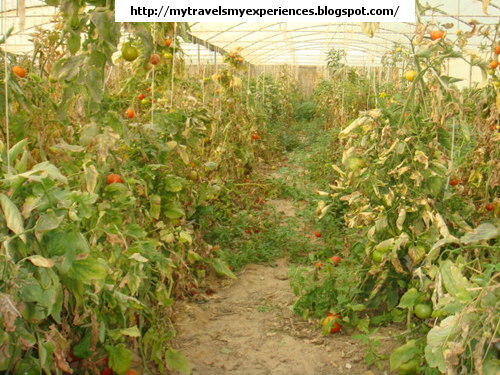 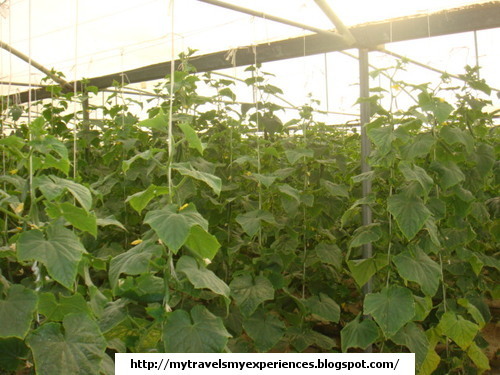 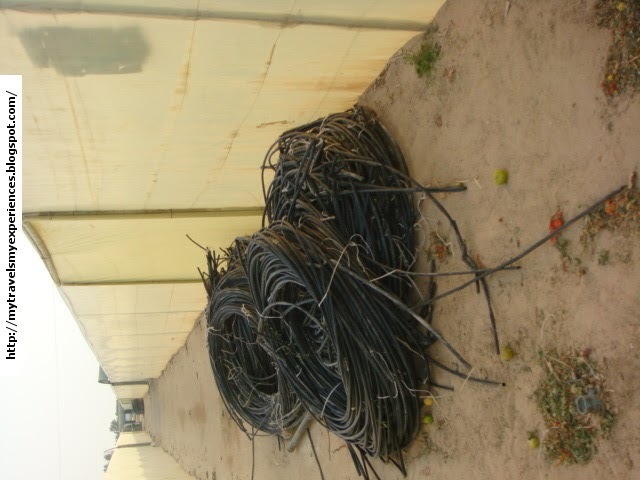 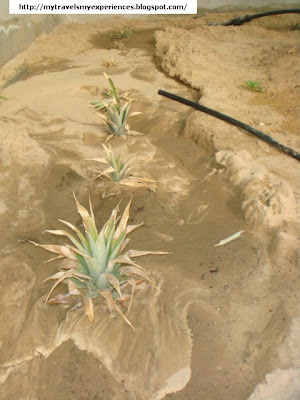 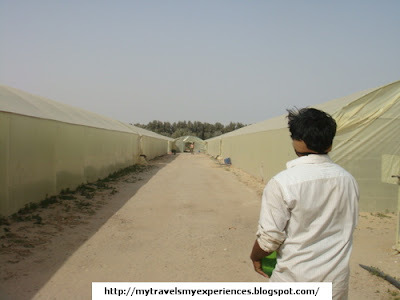 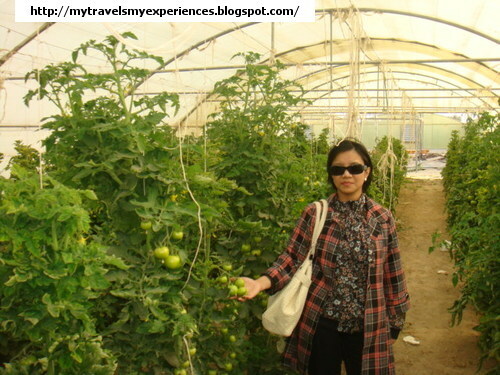 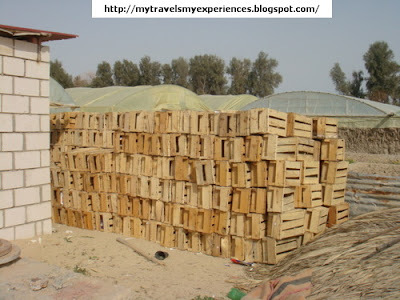 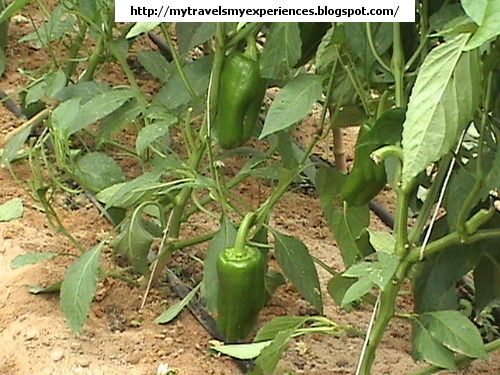 Farming is mainly done in green-houses to protect the vegetables from the harsh climate of the desert. 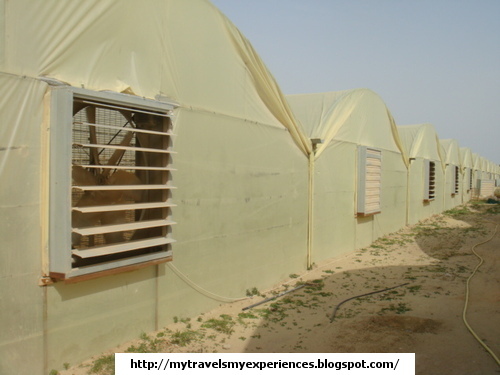 In the green –houses, there are exhaust fans on one side. 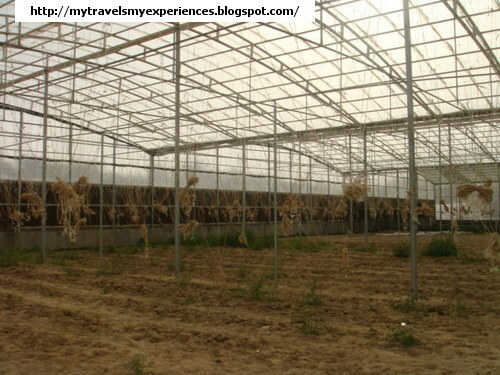 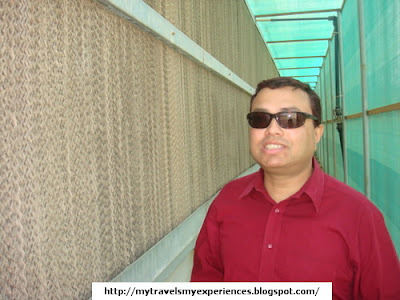 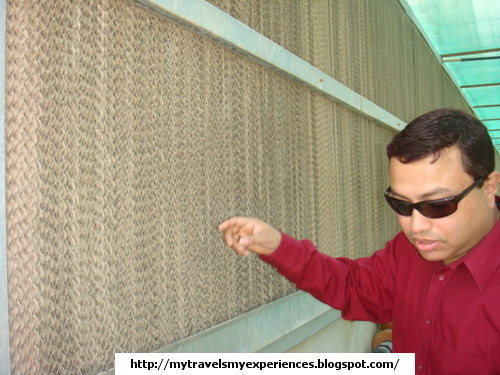 During winter season, the hot air is driven out by the fans from the closed Green House. 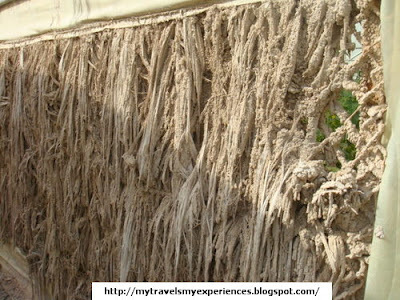 At one side of the Green-house, thatch wall is built. 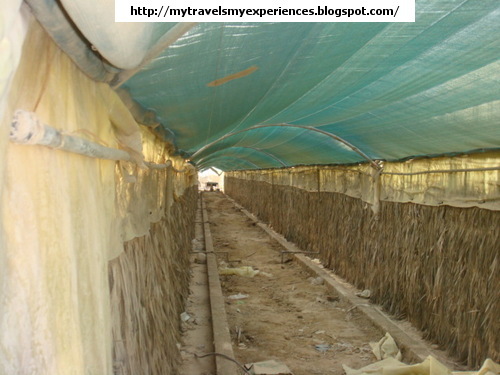 On the top of the thatch wall, water pipes are installed and water drips and wet the thatch wall. 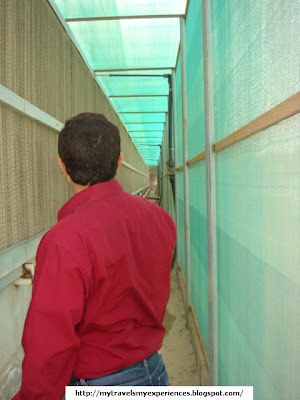 On the opposite side a big exhaust fan is installed. During summer, when the fans run, its takes the hot air out, which is now cooled by the dripping water. Thus cool the environment/air of the green house. 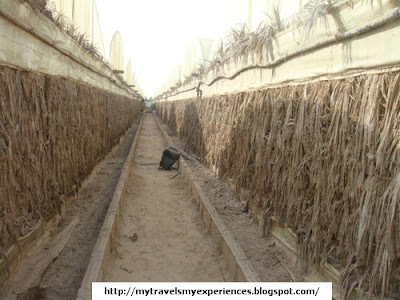 In some modern green-houses, we have seen that the construction is permanent and heat radiators are installed on the walls instead of the thatch walls. The heat radiators are similar to the car engine radiators. Immense effort is involved to turn a desert into green land and the hard work of the mostly Indian, Bangladeshi and Pakistani farmers working in the farms need to be highlighted. 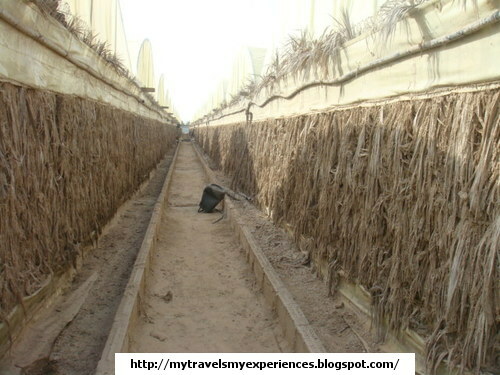 Heat radiators are installed on the walls instead of the thatch walls. 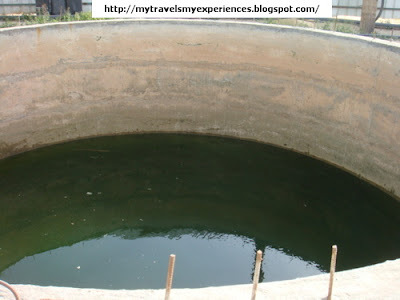 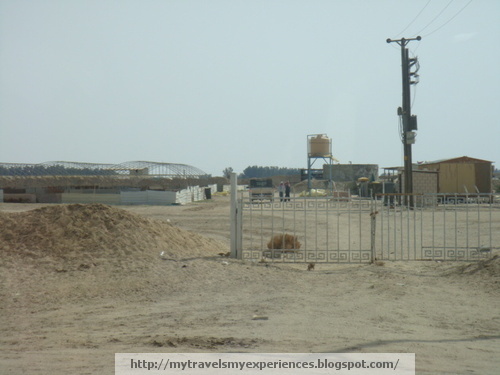 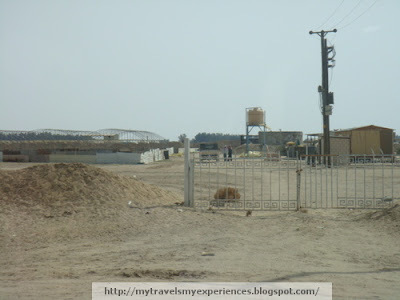 You will get to see that every farm has water tanks or reservoirs.